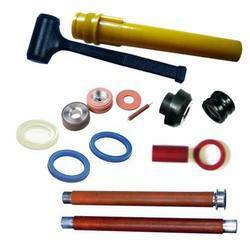 Holding a decade of experience as a manufacturer, we are engaged in offering a wide range of PU Customized Products. Used in various industrial applications as a cast material, these products are manufacture using polyurethane that is sourced from the authentic vendors of the industry. Apart from this, these products are packed properly to avoid any damage during dispatch. Looking for PolyUrethane Customized Product ?